Innovative business models can turn entire industries on their head – just ask retail executives how Amazon has changed their world, mobility companies about Uber, or music magnates about Apple’s legacy. How we shop, move, and enjoy music is fundamentally different today from just a decade ago thanks to disruptive changes in these markets. The phrase “business model innovation” rose to prominence in the startup culture of Silicon Valley, but public administrations could use the same principles to reshape urban life for more productive, sustainable and inclusive cities. An iconic example of an industry transformed by business model innovation in recent years is the music industry. 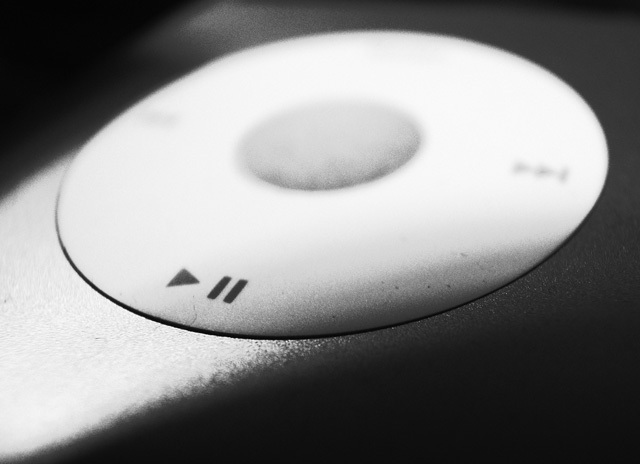 At first, the iPod, accompanied by online file-sharing services, changed everything. Then online retail emerged as a cost-competitive alternative to store-based music sales. Together these changes brought the demise of many physical record shops. Nowadays, streaming services such as Spotify no longer sell records but rather provide access to music on demand. Such services are often offered on a “freemium” basis – free access to songs and playlists, interspersed with advertisements that can be turned off for a subscription fee. The first is capitalizing on a new value proposition to the end user. In this case, music lovers benefited from greater choice of easily accessible, on-demand music at a lower cost. Second, is the emergence of new channels for value creation. New supply chains, developed in parallel with new MP3 players and phones, helped move music from physical, store-based locations to online files and applications on users’ devices. Finally, new models for capturing value emerged in the form of new cost structures and revenue models. Moving online cut costs for some, while selling access to streaming rather than ownership of a song makes recurring fee-based charges possible compared to one-off sales revenues. What Does It Mean for Cities? It is generally thought that new business models emerge in response to changing market conditions and consumer preferences. While not explicitly studied to date, these trends are also underway in cities worldwide. New and rapidly growing cities, changing living standards and consumer preferences, and new technologies are some of the drivers leading to the emergence of alternative business models for common city services. These include changes to mobility, housing and electricity consumption. Business model innovations in mobility are some of the most visible. Ride sharing solutions – cars, bikes, and taxis that users pay to access, sometimes non-exclusively, rather than own – have exploded. Bike-sharing is taking off even in unlikely places, such as Bhopal, India, where more than 10,000 new users signed up within the first few weeks of the system’s operation. This trend is underpinned by a new value proposition, about point-to-point, no hassle mobility that is particularly attractive to urban users. While shared mobility options continue to coexist alongside public transit and private vehicles, they are becoming a larger part of the urban mobility mix. In urban energy, decentralized solutions are another example where new business models are reshaping established value propositions, in this case between utilities and customers. By purchasing or leasing solar panels on their own property, city dwellers can exercise greater control over their energy supply, prioritizing lower carbon emissions. They can also establish a two-way relationship with the utility by selling electricity back to the grid or earning money from leasing roof space to a solar company. Decentralizing energy supply through onsite renewables reverses a long trend of increasingly centralized power generation in power plants far beyond city limits – a paradigm that in fact replaced earlier decentralized solutions, based on greater efficiency and economies of scale. Finally, recent developments in urban land use and housing point toward competing value propositions that could radically change how urban development is carried out. In some cities in the United States and Asia, “transit-oriented development” is displacing decades of auto-centric policies based on the separation of residential and commercial land uses. This comes in response to people’s increasing preference for city-living over suburban lifestyles because they are able to easily access basic services and cultural amenities by walking or public transit. With a major affordable housing gap, estimated to affect 440 million households by 2025, developing country cities need to develop scalable approaches to city living too. Business model innovation has critical implications for cities seeking greater sustainability. It suggests that the same core service needs – e.g., for mobility, energy, water and sanitation, housing – could be satisfied in a range of new ways, through potentially radically different models than are currently in place, including those that are more environmentally and socially sustainable. But local governments need to actively shape developments in their city. Innovations, especially in their infancy, can have unexpected pitfalls. Cautionary tales about the negative impacts of short-term rental services such as Airbnb and “rogue” bike-sharing companies show local government’s essential role in providing proactive city leadership that anticipates, steers, and where necessary corrects development in real time. Critically, this is not an all or nothing proposition. It’s clear from the experience of industries that have been disrupted that alternative and established ways of meeting the needs of end users can coexist even as one may be gradually displacing the other (e.g., in home entertainment, where ad-based television coexists with subscription-based services like Netflix). Fundamental shifts are driven by processes of experimentation, learning and iteration. In the private sector, firms experiment with new ways of doing business to generate profit. In cities, local governments should take inspiration and exercise leadership in working hand-in-hand with the private sector to actively experiment with new value propositions and new channels for value creation and capture, to deliver social and environmental benefits to all. Anne Maassen is the Energy, Climate and Finance Associate at WRI Ross Center for Sustainable Cities. She leads WRI’s work on Financing Sustainable Cities, an initiative with the C40 Cities Climate Leadership Group, funded by the Citi Foundation, focused on helping cities develop business models to accelerate the implementation of sustainable urban solutions.